Do You Have a Weak Immune System? Take The Test And Find Out! A weak immune system means that the body’s ability to fight various threats and disease is impaired. What is less known about a low immune system, is that overtime, having a weakened immune system can lead to serious health conditions that are usually easy to prevent, but much harder to treat once developed. Becoming aware of low immune system signs ahead of time is one of the most important steps for a healthy and strong immune system. In this experts guide, you will find everything you need to know about the strength of your immune system: we start with the weak immune system test, continue with the most common weak immune system causes and then cover the best proven natural ways to build a healthy and strong immune system. Do you have a weak immune system? Follow these 3 steps! Step 1 – Do you have a weak immune system? Step 2 – Are these top weak immune system causes apply to you? We are happy and proud to offer this complete 21 pages experts guide as a free service to you. We strongly believe this knowledge can make you and your family feel great and your immune systems stronger than ever! Please feel free to share this healing knowledge with your friends and family. As always we would love to hear your thoughts, suggestions and feedback! Strong Immune System Matters! Share this important experts guide with your family & friends! Do you have a weak immune system? 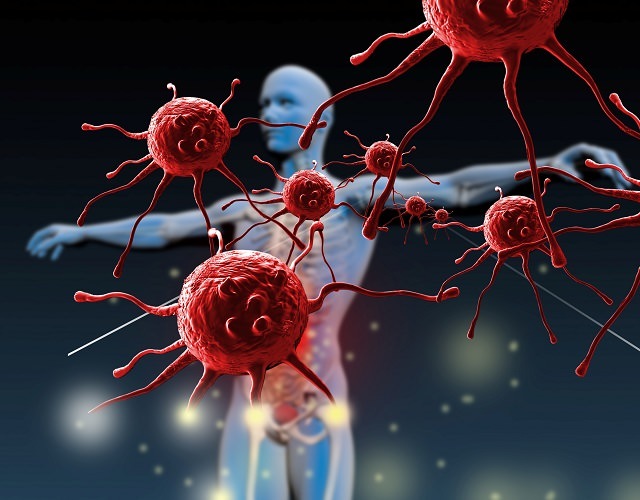 This online immune system test is designed to quickly test your immune system strength. The immune system test questions you see below cover the most common weak immune system symptoms and causes. We also look into key vitamins minerals deficiencies that are known to cause a weak immune system. A compromised or weak or immune system doesn’t happen overnight; it is usually a result of an ongoing process that evolves overtime with symptoms and hints along the way. In the last 6 months, do any of these symptoms or causes apply to you? Yeast infections, sinus infections, or pink eye (conjunctivitis). Digestive issues such as constipation, diarrhea, gas or bloating. Tired even after a good night sleep or have low energy. Sore joints and muscles pain. Diabetes or blood sugar issues. High stimulants or energy drinks use. Unhealthy lifestyle habits: smoking, alcohol, etc. Excessive exercise (athletes) or lack of exercise. Constant high level of stress. Known vitamins or minerals deficiency. Consult with your doctor about alternatives. Diet: include foods for immune system. Supplements: vitamin B12 & vitamin D3. Organic Iron in cases of anemia or iron deficiencies. 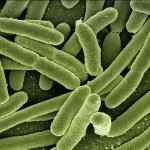 Overuse of antibiotics has shown to damage the good bacteria in the gut which may lead to a weak immune system! Always consult with your doctor before taking antibiotics to make sure it is absolutely necessary. We get many emails and questions on what to take in order to boost and strengthen immune system function. What are the secret remedies and the best supplements that turn your immune system into a lean mean germ killing machine…Before we go into how to boost immune system, it is a must to cover what causes a weak immune system. The following lifestyle choices are the most common weak immune system causes. They cause a big overload on your body, damage your organs and overtime may evolve to more chronic health conditions. We all know them, but sometimes tend to forget until it is too late and we get sick. The end of summer is a perfect time to run a complete blood test as some abnormalities that may be found during the test can impact your immune system. For example: vitamin B12 and vitamin D that over 40% of the US population are deficient, are directly linked to a weak immune system. Remember: this simple test may save you a lot of discomforts and sick days! Next on the list of things that cause a compromised immune system are poor diet choices. These can be foods that damage the body, bad eating habits that stress the body, or diets that are not balanced and do not provide your body with the nutrients it needs. When you consume bad foods or drinks such as processed foods or sodas, your body has to work harder to digest them and eliminate the toxins they create. Working harder means that the body has less energy and available resources to perform the daily tasks required to maintain good health and a strong immune system. Such tasks include tissue repair, organs regeneration, reducing inflammation and others. After we reviewed the possible causes of a weak immune system, it is time to discuss how to strengthen immune system in more detail. A strong immune system requires optimal levels of vitamins, minerals, antioxidants and other nutrients. While many people tend to focus on these when they are getting sick in order to boost immune system functions and help fight the infection, the body actually needs an ongoing supply of these key nutrients in order to maintain a healthy immune system. Take our skin for example; One of the skin’s primary roles is to protect our body against harmful “invaders”, serving as a physical barrier between the outside world and the body. Building and maintaining this “physical barrier” takes time. It also requires enough nutrients which act as the building blocks of our skin. It is a well known fact that you can learn a lot on a person’s internal health and nutritional deficiencies just by looking at their skin. The research is very clear and conclusive – there is a direct connection between deficiencies in certain vitamins and minerals to a compromised immune system as well as a large variety of infections and serious health conditions. It is generally better to get vitamins and minerals from natural whole foods as much as possible, unless there is a specific problem that is preventing your body from absorbing them from foods such in the cases of vitamin B12 or vitamin D (where enough sun exposure is required). Many people think that taking vitamins, minerals and other supplements can compensate a bad diet. The research, however, is very clear: it has been proven numerous times that isolating nutrients in supplement form will not provide the same health benefits as consuming the nutrients from whole foods. In fact, there is a direct link between poor diets to many serious health issues and a weak immune system, and vice versa – healthy well balanced diets have shown in many studies to promote good health, prevent disease and are the foundation to strengthen your immune system. Note that we focus on healthy natural unprocessed whole foods that are commonly available and that fit most diets, cleansing and detox plans. Such diets include the candida diet, low-carb, anti-inflammation, anti-aging, alkaline and vegan diets. Click on each link for the complete list of foods, supplements and other ways to get these important vitamins for immune system. Vitamin A plays a key role in maintaining healthy skin and mucus membrane that are a part of the immune system’s first line of defense. It is also a key nutrient that is required to strengthen immune system’s response to various infections. Getting your daily value of vitamin A from various foods is very easy with plenty of options to choose from. It is also the preferred way. Unlike Vitamin A supplements that can be toxic in high levels, the vitamin A you get from food comes from a yellow-orange pigment found in plants called Beta-carotene. The body only converts as much vitamin A from beta-carotene as it needs. As an extra benefit, Beta-carotene is also a very potent anti inflammatory nutrient. Excellent low carbs sources include carrots (1 large carrot provides 400% of your daily value), greens such as spinach, kale, romaine lettuce or swiss chard (2 oz – over 150% daily value) and red bell pepper (1 large -150% daily value). Other great sources that are a little higher in carbs include pumpkin (2 oz – 150% daily value, 5 grams net carbs) , butternut squash (1 oz – 100% daily value, 2 grams net carbs) and sweet potatoes (1 oz – over 100% daily value, 5 grams net carbs ). As you can see as little as 1-2 oz of any of these provide over 100% of your daily value of vitamin A with minimal carbs. Tip of the day – eating as little as ½ large carrot or 1 large red bell pepper every day will provide all of your daily vitamin A value. How easy is that ? The B vitamins (also called “B complex”), are made up of eight vitamins: B1 – Thiamine , B2 – Riboflavin , B3 – Niacin, B5 – Pantothenic acid, B6 – Pyridoxine , B7 – Biotin, B9 – Folic acid, B12 – Cobalamin. B vitamins are essential for a strong immune system and good health and are required in many important body functions such as DNA synthesis, energy production, as well as supporting a healthy nervous system, brain, skin and muscles. With the exception of vitamin B12 which is discussed in more details below, getting the rest of the B vitamins from whole foods is possible when you follow a versatile diet that includes several food groups and sources that are rich in B vitamins. These foods includes nuts, seeds, legumes, grains, fruits, greens, eggs, fish and meat, with each group and food sources rich in certain B vitamins. Due to their importance, it is highly recommended to get tested for B vitamins deficiencies. If you are over the age of 50, take medication, have existing health issues, or follow a diet that restricts certain food groups such as vegan, vegetarian, low carbs or low fats diets, you may be at risk of having low levels of one or more of the B vitamins. Out of the B vitamins, vitamin B12 is definitely the one that gets the most attention and for a good reason – getting enough levels of vitamin B12 from the diet is the most challenging one. How challenging? It is estimated that approximately 40% of the American population has low levels of vitamin B12. The biggest reason has to do with the absorption mechanism of vitamin B12 in the body. It is complex, involves multiple steps, with each step depends on many factors that can impair the absorption. These factors include age (our ability to absorb vitamin B12 declines as we age), certain medications, digestive or stomach disorders, conditions such as pernicious anemia, candida, leaky gut and others. The importance of vitamin B12 to the immune system has been showed by many studies (source 1 , source 2). As research suggests, vitamin B12 plays a key role in regulating the immune system and improves many critical immune system functions. Adds to that the high vitamin B12 deficiency rate, and you will see why vitamin B12 one of the best vitamins for immune system you want to make sure you have sufficient levels of it. The concern with Vitamin B12 deficiency is due to its importance to many key body functions such as energy production, DNA replication, nerves, brain, cardiovascular and mental health. If left untreated, vitamin B12 deficiency can cause severe health issues; some issues may not be reversed even after restoring vitamin B12 levels and become permanent. Vitamin B-12 deficiency symptoms may include anemia, numbness, tingling or burning sensation in the hands, legs, or feet, cognitive difficulties, slow reflexes, constant fatigue, difficulty walking, balancing and coordination issues. Since vitamin B12 deficiency is quite common and due to its potential risks, vitamin B12 supplements are very popular, with many formulas and different vitamin B12 forms to choose from. When it comes to vitamin B12 supplements, the most important factor is the absorption of the vitamin in the body. Some vitamin B12 forms such as the synthetic form Cyanocobalamin that is found in many B12 products are poorly absorbed in the body, and despite the higher dosage used, with lower absorption, there is very little value and benefits. In fact, research suggests this synthetic form may actually stress the body due to its problematic chemical composition. Not surprisingly, the absorption of natural forms of vitamin B12 is much higher and safer than the synthetic forms. The natural forms are recognized by the body as active vitamin B12 and are easily utilized. According to research, a combination of 2 naturally occurring forms of vitamin B12 is required (Adenosylcobalamin & Methylcobalamin), since each of these forms provides different functions in the body. The other factor to consider that is also critical to the absorption is the delivery mechanism used. Liquid formulas you hold in your mouth usually have much higher absorption rate compared to capsules or tablets and are preferred. VeganSafe B-12 is our preferred choice due to its high potency and purity. Many people feel a significant energy boost and a sense of well-being in a matter of days after starting to use it. Perhaps one of the most popular vitamins known to strengthen the immune system, vitamin C is required in order for the body to handle ongoing stress, fight infections, reduce inflammation and for collagen production which is essential for a healthy skin. Vitamin C is also a powerful antioxidant that helps protect the body from free radical damage. It is important to consume vitamin C on a regular basis especially during times of stress that can deplete vitamin C levels in the body. Similar to vitamin A – it is also very easy to get enough vitamin C from various foods. Great low carbs sources include red bell pepper (1 large -230% daily value), broccoli, kale, brussel sprouts (3 oz of any of these provide 100% daily value). Among the fruits, all citrus are excellent sources of vitamin C although they are a little high in carbs. If you are looking for low carb fruits that are rich in vitamin C, great choices include guavas (2 oz – 150% daily value, 5 grams net carbs), strawberries (5 oz – 100% daily value, 8 grams net carbs) and kiwis (3 oz – 100% daily value, 10 grams net carbs). As a reminder, for optimal digestion, fruits should be eaten on an empty stomach and only when they are ripe. Acerola Cherries and Camu Camu Berries are the world’s richest sources of vitamin C, so rich that it takes only 1 cherry or berry (5 grams) to meet your daily values of vitamin C! If you decide for some reason to take vitamin C supplements, look for ones that are made from these fruits. Did you know that vitamin D is actually a very important pro-hormone that is known to strengthen immune system resistance to various infections ? According to research, vitamin D has a very powerful natural antibiotic effect in the body: it increases the body’s antimicrobial peptides (AMPs). These peptides are potent natural antibiotics that are designed to kill many types of bacteria, viruses, and fungi in the body. In addition to boost immune system functions, vitamin D is also vital for the development and maintenance of healthy bones and teeth. According to one study, when researchers looked into patients that suffered from hip fractures, they found that 80% of them had low levels of Vitamin D! Getting enough vitamin D from foods such as fatty fish, egg yolks, liver, certain mushrooms is possible, although usually not realistic for most people. The best way to get vitamin D is by sun exposure that stimulates the production of vitamin D in the body. This is the reason why vitamin D is also known as the “sunshine” vitamin. The challenge with getting enough levels of vitamin D is usually in colder climates or during the winter. Other factors include lifestyle and cultural dress habits that don’t allow sufficient sun exposure. In addition, due to the risk of skin cancer, many dermatologists recommend to minimize the exposure to the sun (sunscreen inhibits vitamin D production). Given these, it is not surprising that vitamin D deficiency is quite common; It is estimated that in north America over 50% of the population suffers from vitamin D deficiency. To avoid this, the general recommendation is to get your vitamin D levels checked and take vitamin D supplements if needed. Why: 50% of Americans have vitamin D deficiency (source). Vitamin D supplements are available in 2 forms: a synthetic form known as vitamin D2 (Ergocalciferol) and a natural form known as vitamin D3 (cholecalciferol) which is the same form that is produced in our bodies when we are exposed to sunlight. Vitamin D3 has shown in many studies to be superior to vitamin D2 in terms of absorption and potency: it becomes active in the body much faster than vitamin D2 and also stays longer in the body, making it easier to restore and maintain optimal vitamin D levels. When choosing vitamin D supplements, it is important to select vitamin D3 formula in liquid form for optimal absorption. Another factor to consider is the vitamin D3 source, which can come either from animal by-products or from vegan plant based source (lichen). While all these sources of vitamin D3 work effectively in restoring vitamin D levels, the vegan source of vitamin D3 (lichen) is usually the one that is recommended by health professionals. The main reason is due to many concerns regarding the animal by-products undesirable compounds and toxins that may be present in addition to the vitamin D. Animal sourced vitamin D3 are typically made from fish oil or sheep’s lanolin (the waxy substance extracted from the sheep’s wool), and the preference towards the vegan D3 form comes in order to avoid potential exposure to heavy metals such as mercury that may be present in the fish oil, as well as other animal related toxins and allergens that may cause allergic reactions and other issues. Lastly, like we mentioned in the vitamin B12 section, pay extra attention to the added ingredients to ensure there are no additional chemicals or artificial flavors that “mask” the vitamin D flavor, as these are quite common. Not only they are unnecessary, many of them are shown in studies to be potentially dangerous. Suntrex D3 is our preferred choice for a natural vegan liquid vitamin D3 supplement. We find its formula highly effective, pure with a very pleasant taste. While vitamin E is commonly known as a powerful antioxidant as well as for lowering the risk of cardiovascular disease, it also has a key role in the immune system’s first line of defense. Vitamin E boosts the production of natural killer cells, which are responsible for the elimination of cells in the body that are infected with viruses, bacteria, or fungi as well as cells that have developed cancer. Getting enough vitamin E in your diet is quite easy, especially if you like nuts and seeds. Excellent sources include sunflower seeds (1 oz provides 70% of your daily value), almonds (1 oz – 50% daily value), hazelnuts (1 oz – 30% daily value), green olives (4 oz – 30% daily value) and avocado (1 cup mashed or 1 medium avocado – 40% daily value). Good sources among the greens are spinach, swiss chard and collared greens (3 oz – 15% daily value). Lastly we have to mention the red bell pepper one more time, as it is also rich in Vitamin E (1 large pepper – 15% daily value). Looking for a tasty, quick and healthy way to get your daily value of vitamin E ? Put 1 avocado, 1 oz sprouted sunflower seeds in a bowel, add a few drops of fresh squeezed lemon or lime juice, sea salt to taste, mix together and you are done! Selenium is an essential mineral that is required for many of the immune system functions. It is a very potent antioxidant that works in synergy with vitamin E in protecting the body from the free radical damage. Selenium has demonstrated in many studies strong disease prevention properties; there is a growing number of evidence suggesting a connection between low levels of Selenium in the body to many health conditions such as thyroid disorder, heart disease, fertility issues, prostate cancer and others. Selenium supplementation is quite popular and you can find Selenium in many vitamins & minerals formulas. It is best however, to get your Selenium from natural whole foods, and it is quite easy to do so; Brazil nuts are by far nature’s richest source of selenium. So rich, that it only takes 1 nut (5 grams) to provide over 150% of your daily value of selenium. Other good sources include oysters (3 oz – 120% daily value), fish and meat (5 oz – over 80% daily value). If for any reason you can’t get your daily value of Selenium from foods and consider taking Selenium supplements, it is highly recommended to avoid synthetic selenium supplements and use natural selenium that is extracted from organic plant based sources; a good example of a natural selenium product that is derived from certified organic mustard seeds can be found here. Tip of the day – eating 1 Brazil nut a day will meet your daily value of selenium! How easy is that ? Zinc is one of the most common minerals in the body and it is vital for a healthy immune system and good health. Zinc plays a key role in many body functions such as cell growth, wound healing, healthy hair, skin and nails, testosterone production, normal sense of vision, taste, smell, and others. Zinc deficiency has shown to be linked to increased infections, colds and flu with some evidence suggesting that Zinc may reduce the duration of the common cold symptoms if taken within 24 hours of onset of symptoms. Oysters are considered one of the richest sources of zinc; all it takes is 3 small Oysters (about 3 oz) to provide over 100% of the daily value. Red meats such as beef or buffalo are also very good sources (5 oz – 50% daily value). Vegan low carbs sources that are rich in Zinc include pumpkin seeds, hemp seeds and sesame seeds (1 oz of any of them provide 20% of your daily value). Other vegan sources that are also high in zinc although higher in carbs are legumes such as lentils, garbanzo beans, and black beans (3 oz of any of them provide 30% of your daily value). Iron is required for healthy red blood cells which carry oxygen throughout the body. Having constant supply of oxygen is critical in order to maintain life (we can’t live without oxygen…) including the ability of the immune system to fight infections. Iron rich food sources include oysters (5 small oysters , about 5 oz provide 100% daily value), beef liver (2 oz – 50% daily value), and lean buffalo or beef (5 oz – 50% daily value). Vegan sources that provide plenty of Iron include sesame seeds and chia seeds (1 oz – 50% daily value), pumpkin seeds and hemp seeds (1 oz – 30% daily value), parsley (2 oz – 40% daily value), and spinach (3 oz – 30% daily value). If for any reason you can’t get your daily value of iron from foods, or have a history of anemia, iron deficiency or vitamin B12 deficiency, you may want to speak with your doctor about taking Iron supplements. In these cases, it is highly recommended to use a natural plant based iron to avoid the many known discomforts and side effects of synthetic iron supplements. A good example is Organic Iron Fuzion that is derived from organic Curry tree leaves (Murraya koenigii extract). To get better iron absorption from plant based foods, combine them with foods that are high in vitamin C.
A good example is our 5 min broccoli – mustard – hemp Immune boosting meal that takes no more than 5 minutes to make and tastes delicious ! Eating this meal at least 3 times a week can make a huge difference in the way you feel and is a great way to strengthen immune system function. Try and see for yourself ! Share to help your family & friends get all the immune boosting vitamins & minerals they need! While the list of supplements for low immune system may seems endless, the best supplements for immune system are usually based on a much smaller number of ingredients that are backed up by science and that actually work . In this experts guide we focused on the top natural ingredients and supplements that have proven to be both safe and effective, with a long history of traditional use as well as backed up by the scientific community. So you’ll enjoy the best of both worlds: the wisdom of ancient medicine’s time proven traditional remedies and the latest research and clinical studies. Selenium Daily, in case you can’t get it from food (Brazil nuts). Oregano Oil Short term when needed as a natural medicine cabinet item. Antioxidants Daily, recommended for ongoing high stress. Phycocyanin Daily, recommend for inflammation & insomnia issues. Considering that 70% of the immune system resides in the gut, maintaining a healthy balance between the good and bad bacteria in your gut is essential for a strong immune system. Probiotics are the “good” bacteria that help your body fight the “bad” bacteria as well as other harmful organisms such as candida, parasites, and viruses. This is the “core” of your immune system and one of the most important steps to take in order to strengthen immune system function and as a part of a disease prevention strategy. While it is possible to get probiotics from natural fermented foods and drinks such as live cultured yogurt, Sauerkraut, Kimchi, Kombucha tea and others, there are many concerns regarding their effectiveness especially for people with candida, yeast issues and other stomach, digestion or gut issues. In addition, due to stability, quality issues, and contamination risks, store-bought probiotic foods are usually not recommended. So unless you make your own and know for a fact they have worked for you personally in the past, counting on these food sources to boost immune system function may not provide the best results and can even backfire resulted digestion issues such as gas and bloating. Probiotics supplements are widely used for the immune system with many studies suggesting the benefits of immune system stimulation by probiotic microorganisms. Probiotics supplements however, are not made the same, and to get the probiotics immune system benefits, it is very important to make sure the beneficial organisms that are included in the formula are backed up by research and are proven to be both safe and effective. Another important factor to consider is stability and potency; many formulas must be kept refrigerated and by the time you get them lose their strength significantly. It is also common to see products that do not use enough beneficial organisms in order for them to be effective. One of the best probiotic strains for immune system that we highly recommend is the Bacillus laterosporus strain (B.O.D.™). The BOD strain has been shown by research to be very effective against various pathogens and harmful organisms such as Candida (study), Salmonella (study), E-Coli -Escherichia coli (study) and Streptococcus Faecalis (study). In addition, further research showed it significantly improved the gut function which is vital for a healthy immune system. According to one study, 70% of the participants in the study reported relief from various digestion symptoms they previously had such as heartburn, abdominal pain, constipation, diarrhea, body odor and others (study). BOD strain is stable at room temperature, so it doesn’t have to be refrigerated and it is suitable for vegans unlike many probiotics that are derived from dairy. Natural antioxidants extracts are commonly used for immune system and oxidative stress support. The science about antioxidants benefits is very promising: antioxidants have been shown in thousands of published studies to benefit the health of the immune system, DNA, brain, memory, heart and many internal organs functions. As research suggests, antioxidants can promote the health and longevity of every cell in the human body. Not all antioxidants supplements however, are made the same and not all of them may benefit a weak immune system. To make sure you get all the antioxidants immune system benefits, the recommendation is to only use natural antioxidants extracts that are backed by science to support the immune system. The antioxidants extracts should be 100% natural from a well trusted source that guarantees the potency and purity of the extracts that are included in the formula. A good example of an antioxidant supplement we use in our protocols to support cases of weak immune system, oxidative stress and high toxicity is Dr. Group’s Cell Fuzion which is the most potent antioxidant complex we have tested, that have shown to be very effective even for severe cases of low immune system and high toxicity due to candida, parasites and other infections. Most people who use Cell fuzion notice improvements with their immune system, energy levels, mood and cognitive function. Dr. Group is so confident about the efficacy of his formula, that Cell Fuzion comes with a complete 180 days money back guarantee. Garlic is widely known as a powerful natural antibiotic and has been used for centuries around the world as food and medicine. Its many health benefits have been extensively studied and are well documented. As research suggests, Allicin, the active component of garlic that is responsible for Galric’s flavor and famous aroma, has strong antibacterial, antiviral and antifungal properties. This makes garlic an excellent natural remedy for fungal, parasites and viral infections. Allicin’s health promoting abilities don’t stop here, and include many other potential benefits such as preventing heart disease, improving cholesterol profile, reducing high blood pressure, and others. While there are many supplements that offer garlic and Allicin as a part of their formulas, their effectiveness is still questionable. Our recommendation is to consume organic garlic as fresh whole food, just as nature intended. That is the beauty of Garlic: it has so many health benefits, compliments almost any cooking style yet it widely available, affordable and easy to use. Garlic is most potent when eaten in its raw fresh form. Its active ingredients become available by crushing, chewing or when you cut the garlic, which is why it is recommended to consume the garlic shortly after. Need a quick & easy garlic recipe? make this 2 minutes tasty lemon-garlic salad dressing : mix 2-4 minced or grated raw fresh garlic cloves with a few drops of fresh squeezed lemon or lime juice, 1-2 tablespoons of organic extra virgin cold pressed olive oil, sea salt to taste, and add to your greens or steamed vegetables ! Phycocyanin is a natural blue pigment-protein found in Spirulina and it is one of the key ingredients responsible for Spirulina many impressive health benefits. Similar to the way chlorophyll gives plants their green color, Phycocyanin is the pigment that gives Spirulina its distinct bluish color. Phycocyanin is a very powerful immune system booster that is well known for its remarkable anti inflammation and antioxidant properties. According to research, Phycocyanin acts as a very potent natural COX-2 inhibitor. COX-2 is the key enzyme responsible for inflammation and pain in the body, and unlike pain killers and anti inflammatory drugs that artificially block this enzyme in order to treat inflammation and have many potential health risks, Phycocyanin was shown to reduce the inflammation in a completely natural and safe way. Chronic inflammation has been directly linked to a weak immune system. Furthermore, research has shown that chronic inflammation may be the root cause of autoimmune disorders and serious health conditions such as cancer, heart disease, Rheumatoid Arthritis, IBS (Irritable bowel syndrome), Asthma, Diabetes, Alzheimer’s disease and many others. In fact, many researchers believe that controlling inflammation might be the key in preventing many of these life threatening diseases. If you suffer from chronic inflammation, or have inflammation related symptoms such as joints or muscles pain, re-occurring injuries, general body pain, frequent headaches or migraine, fatigue, allergies, premature aging, weak immune system, autoimmune disorders or immune system diseases, Phycocyanin may help by providing an effective and natural way to reduce inflammation, boost immune system and improve the way you feel. When it comes to phycocyanin supplements, there are 2 important factors to consider: the phycocyanin levels should be at least 30% to make sure you are getting sufficient levels of pure phycocyanin. The color of the product should be distinct vibrant blue as shown in the picture. The second factor, which is true for all Phycocyanin products, is that it should come from a well known and trusted Phycocyanin authority that guarantees the product’s high potency and purity. Our favorite Phycocyanin product is Blue Majik by E3Live for its high quality and effectiveness, and due to E3Live’s well known reputation as the world’s leading Spirulina, Phycocyanin & aqua-botanical experts. Most people who use Blue Majik report significant reduction in pain and inflammation symptoms, especially in joints and muscles as well as allergies, headache and migraine relief. In fact, E3Live is so confident about the potency of their Blue Majik, that they offer 1 year money back guarantee. Originated in Asia, ginger is widely known for its ability to boost immune system function, with a long history of being used as food and medicine. It is an excellent natural remedy for nausea, motion sickness, various respiratory issues, congestion, sore throat, digestion issues, pain reduction and poor circulation. Like garlic, ginger compliments many cooking styles with plenty of healthy and tasty ways to include ginger to your diet, making cold or hot drinks, soups, served with steamed vegetables and more. Need a remedy for sore throat or cold/flu symptoms ? Make a warming ginger tea: boil grated ginger in water, add a few drops of fresh squeezed lemon or lime juice, raw honey (preferably local) or stevia and enjoy ! Oregano oil is derived from the leaves and flowers of oregano and it is a very popular commonly used remedy to strengthen immune system against harmful organisms. What makes oregano oil so effective is its active ingredient, Carvacrol, that has the ability to break down the outer cell membranes of various bacteria. These cell membranes are designed to protect the bacteria from our immune system; by breaking them down, Carvacrol allows the immune system to eliminate the bacteria much more effectively. In fact, there are hundreds of studies demonstrating the effectiveness of Carvacrol for preventing and treating a wide variety of infections caused by bacteria, fungus, parasites and viruses. Along with its strong antioxidant properties, it is one of the best natural ways to boost immune system’s ability to fight harmful organisms. Benefits: Strengthen immune system against harmful organisms. Minimum 80% Carvacrol (the active ingredient in the oregano oil). Derived using a cold-pressed process, since many of the oil’s nutrients and healing properties are destroyed by heat. the oregano source used should be the organic Mediterranean oregano variety which has the strongest therapeutic properties. Other varieties of oregano may still be healthy for you, but they have very little to none of the medicinal properties we have mentioned. A good example of a high quality organic oregano oil we often use as a part of our candida and parasites protocols to support the immune system is OregaTrex. It also comes with empty vegan capsules that make it easy to consume the oil for people who prefer to avoid the strong taste of the oregano oil. This is also a great way to control the amount of oil used in each application, especially if you still need to find out what is the most effective dosage for you or if used for the entire family. Oregano oil is especially effective when used either as a general way to strengthen immune system function, or in order to help the body fight an existing infection. It is also a very popular addition to anti candida or anti parasites protocols when antifungals or antiparasitic rotation is needed. In any case, our recommendation is to use the oregano oil for 2 weeks followed by at least a 2 week break. Always start with the lowest dosage to assess your body’s response and gradually increase the dosage if needed. This yellow wonder is one of the most researched natural components in the world, with thousands of studies and scientific publications. Curcumin, the active ingredient in turmeric, was found to be beneficial to many health conditions due to its strong anti-inflammatory and antioxidant properties, with additional evidence suggesting it may also has effective antibacterial properties (source). Among Turmeric and Curcumin potential benefits are supporting healthy inflammation levels, regulating blood sugar levels, promoting liver health, potential protection against various cancers and many more (source). Hands down, Turmeric is one of the best natural ways to boost immune system function you should include in your diet on an ongoing basis. If you are looking for an example of a tasty healing recipe that uses turmeric, coconut, pumpkin seeds, and other powerful health boosting nutrients, you should check our Golden Detox Energy Soup which is our most popular detox recipe this year. Adding ground black pepper when consuming turmeric increases its absorption in the body. Colloidal Silver – natural medicine cabinet must-have! Silver has been used as a natural antibiotic for many centuries. It is considered by many health experts as one of the most potent natural remedies to strengthen immune system ability to fight bacterial and viral infections. In fact, research suggests colloidal silver might be even effective against various bacteria that are resistant to antibiotics! (source 1, source 2). So, what makes colloidal silver so effective? Colloidal silver, is a solution containing microscopic silver particles that carry a positive charge. These positive silver particles have the ability to bind to the cell walls of various bacteria,viruses and fungus and disrupt their cellular functions, so they can be easily eliminated by the body. Colloidal silver supplements are very popular, with a large variety of products offering many unique features. It is important to know however, that most of the reliable research done on colloidal silver mainly focused on the effectiveness of silver against various harmful organisms rater than the ideal colloidal silver forms. So how do you know which colloidal silver to get? The most important factor to look for as agreed by most health experts, is the purity of the product to avoid contaminants. The purity is a direct result of the quality of the ingredients and the technology used to make the colloidal silver solution. The technology used to make the solution should be specifically mentioned and explained by the manufacturer. Other factors to consider are the silver particles size and the concentrations of the colloidal silver; smaller size silver particles are usually preferred since they might be absorbed and eliminated better by the body. As for the concentrations of the colloidal silver, it is not an indication of the product’s effectiveness but more a matter of safety. Lower concentrations are usually preferred with a concentration of 10 PPM (parts per million) considered by many to be ideal in terms of safety. Originated in east Asia, the health benefits of green tea were well known for many centuries. Today, it is one of the most consumed beverages in the world. Green tea is made from the unfermented leaves of the Camellia Sinensis plant. It contains high concentration of naturally occurring micronutrients called polyphenols which have strong antioxidants and anti-aging properties. Green tea’s potential health benefits have been extensively studied with a growing number of evidence suggesting that green tea may be an effective natural way to strengthen immune system, improve memory and exercise performance, reduce inflammation, lower blood pressure and cholesterol levels, optimize fat oxidation and weight loss, and many others. Matca is a special stone-ground powdered green tea traditionally prepared in the Japanese tea ceremony. This ceremony is a cultural ritual that focuses on the art of preparing and presenting the Matcha green tea from one’s heart to the guests participating in the ceremony. The unique thing about Matcha that differentiates it from regular green tea, has to do with its potency. Matcha is made from green tea leaves that were shade-grown before the harvest. This along with the special preparation of making the Matcha tea, not only improve the flavor and texture of the tea, but according to research, make Matcha much more potent than regular brewed green tea. How much more potent ? up to 137 times more antioxidants than regularly brewed green tea. Look for 100% stone-ground organic Japanese Matcha green tea powders that generally provide higher quality and purity. There should be no other ingredients in the powder. There are many factors that determine the immune system strength. While we already explored lifestyle choices that weaken your immune system, it is time to look at the other side of the coin. Knowing how to strengthen immune system by applying smart lifestyle choices can make a big difference in the way you and your family feel with many potential health benefits. Sleep is that magical time when the body heals and resets itself. It is essential to all brain and body functions including balancing stress, keeping good mood, proper digestion, organ regeneration, toxins removal, tissues, muscles, joints repair and hormones production. The research is very clear : lack of sleep leads to a weak immune system and suppresses the body’s ability to effectively respond to colds or various bacterial infections. Lack of sleep has also been linked to a large variety of health issues and premature aging. While in general 7-8 hours of sleep are enough for most people, you should also look into the quality of your sleep. If you have insomnia or experience sleep issues, wake up many times or get up in the morning tired, we highly recommend to get checked as bad sleep can really jeopardize your health. In addition, in many cases sleep issues may be a result of underlying health conditions. How to do it right? wash and scrub your hands for 20 seconds using soap and warm water, including the backs of your hands, between your fingers, and under your nails. Washing your hands is especially important before and after eating or after activities of “touching” things…such “activities” include after using the toilet, blowing your nose, coughing, or sneezing. It is also recommend to disinfect your workplace, especially items that you frequently touch. We have all heard it, exercise is good for our health, but what does the scientific community say about it ? According to research, not only exercise is a powerful way to boost immune system function, it is also a very effective way to prevent many health issues such as cardiovascular disease, diabetes, arthritis, hypertension, depression and many others. As research suggests, moderate aerobic exercises like brisk walking for 30-45 minutes a day, 5 times a week are shown to significantly reduce upper respiratory tract infections such as colds and flu. What is considered moderate aerobic exercise? About 50%-70% of your maximum heart rate, which usually means breathing harder than usual, but you still be able to talk during the exercise. Note that excessive intense training can actually cause a weak immune system and often leads to various injuries, so listening to your body and adjusting the workout load to your individual state of health and current physical condition is recommended. This way you will be getting the most health benefits out of your workout plan while minimizing the potential risks. Not surprisingly, lack of activity has shown to increase the risk of many serious health condition, so make sure to include exercise in your daily routine. Tip of the day – Make your exercise more effective and fun by changing the type of exercises you do. Going through the same routine for a long time is one of the main reasons many people hit a plateau. When it comes to stress and immune system, the research is very clear: There is a strong connection between our psychological and physical state. As research suggests, constant stress is likely to cause a weak immune system and may significantly lower the body’s effectiveness in fighting various infections. For many people, this is one of those commonly known things that everyone seems to notice; we tend to get more sick when we are under a lot of stress. There are many reasons that make us stressed: tight work deadlines, financial challenges, troubled relationships, ongoing frustration, anger, and many others. What ever these reasons are, becoming aware of the root cause of your stress is the key to address it. If you know what makes you stressed, you may be able to eliminate or manage it more effectively. We know, easier said than done! But in many cases it takes a good thinking in order to find the real reasons behind our stress. Sometimes, it is a matter of perceptive or a personal view of events that make us stressed. This explains why different people may respond totally the opposite to the exact same event, some will get stressed, while others won’t. It is all in our interpretation of things! Stuffing your feelings, keeping them inside (until you explode) often leads to enormous amount of constant stress. When you finally let them go and release, you may feel that “the weight of the world has been lifted off of your shoulders”. What a huge burden that can be on your immune system! Allowing yourself enough disconnect time from the source of the stress is another great way that can make a huge difference, even if it is for 10 minutes a day. Exercise, mediation, walk in the park, getting a massage (may take more than 10 minutes…but still works!) Any activity you enjoy that makes you happy and relaxed even for a short time is sometimes all you need to effectively reduce your stress levels. Did you know that up to 60% of the human adult body is water ? other organs such as our brain, lungs, muscles and kidneys are around 80% water. Here’s the interesting part – it is estimated that 75% of Americans may suffer from chronic dehydration. Whether the reason is due to not drinking enough water, consuming sodas and stimulants that dehydrate the body or both, this is very concerning. Why is this so important? Water is necessary for life way before food! Our bodies depend on water in order to function properly in almost every aspect. Detoxification, toxins and waste removal, digestion and nutrients delivery to your body’s cells and tissues are only a few examples of critical immune system functions that require adequate water intake. Dehydration signs include yellow urine color, dry mouth, swollen tongue, dizziness, constipation, hard stools and others. The general recommendation is to drink a minimum of 8 cups (1 cup – 8 oz) of water per day. It is important to listen to your body and follow your common sense, as you may need more water. Physical activities, diets that are high in carbs, dry foods, meats, nuts and seeds usually require more water intake. Make sure to drink high quality water, such as spring water or purified water. Tip of the day – drinking lemon water first thing in the morning has many known benefits, but it is also a great way to already start hydrating your body! use fresh squeezed lemon or lime juice in spring or purified water and enjoy!